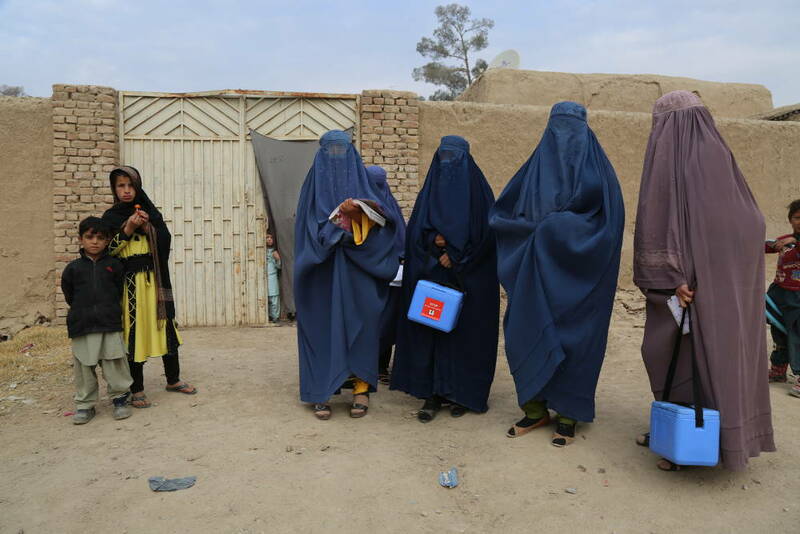 Follow the workday of female polio vaccinators through this photo story. 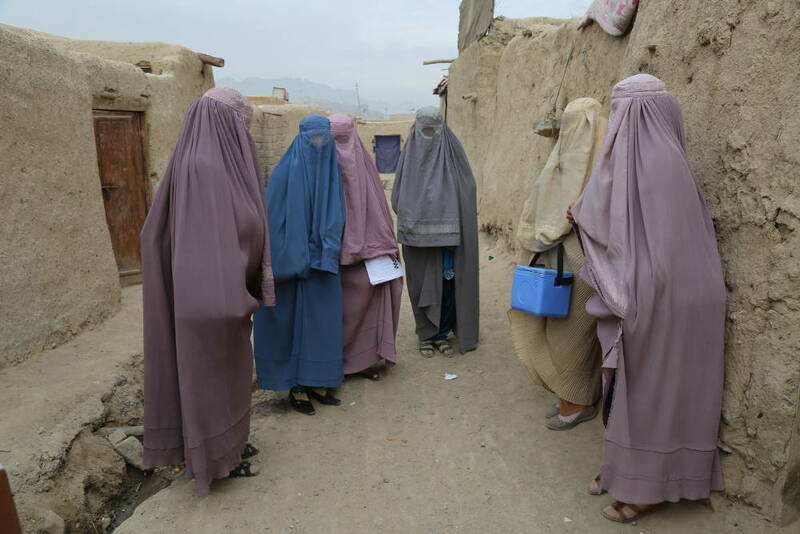 Zainab (left), a female polio vaccinator from Afghanistan, meets with one of her vaccinator teams. This team has already vaccinated 49 children today, and it is only 9.30 in the morning. Women like Zainab are on the frontline of polio eradication, ensuring vaccines reach every child, every time. 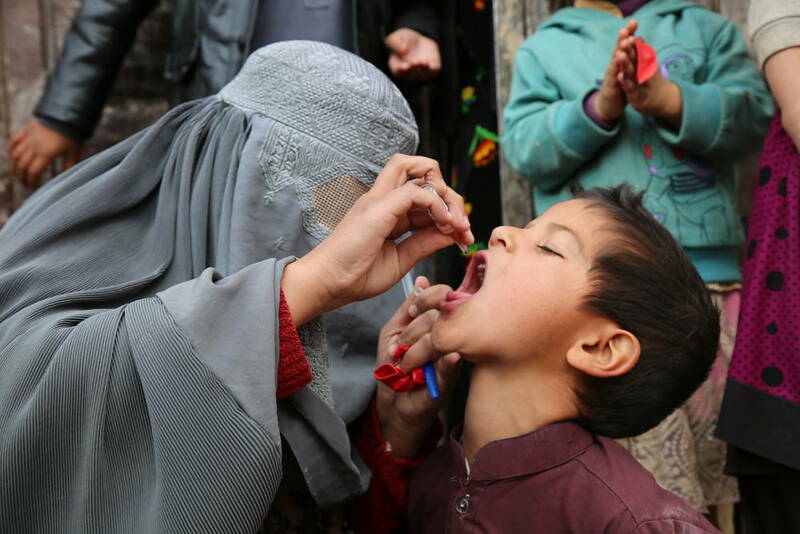 A five-year-old boy, Waris, is vaccinated against polio in Loya Wala, Kandahar. 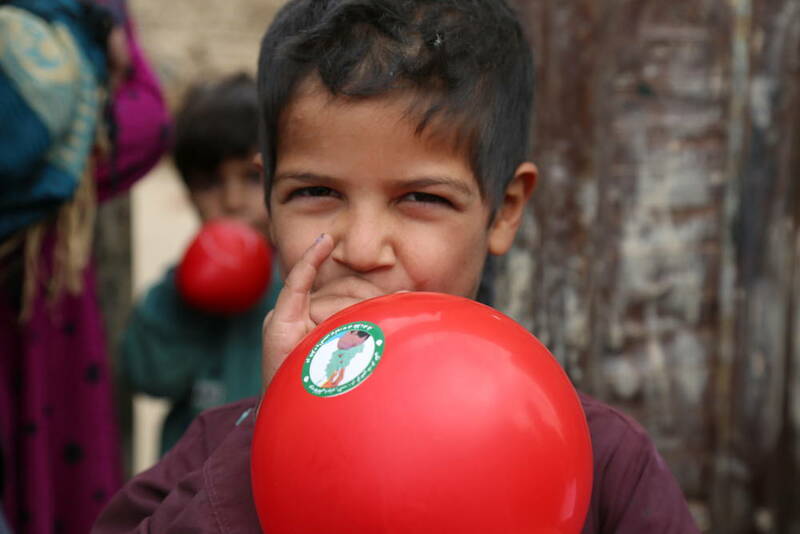 One of the vaccinators working with Zainab hands out red, orange and green balloons to Waris and all of the other children after marking the children’s fingers in blue marker pen to show they have received the vaccination. 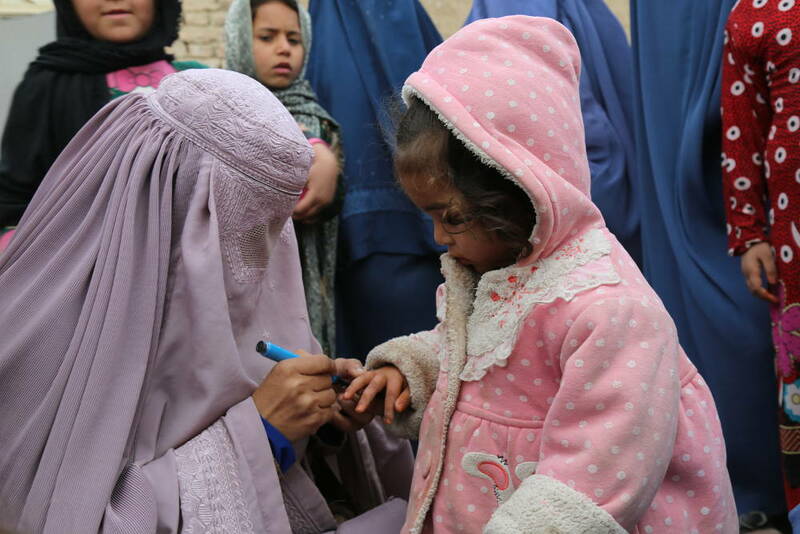 A girl looks on as her finger is marked after vaccination. This dot of ink will show the campaign monitors that this child is protected, and will enable them to find and vaccinate missed children. 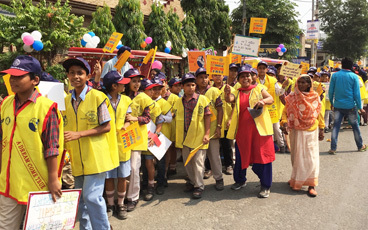 The team marks the number of vaccinated children on a tally sheet and register book after each visit. At the end of the day, the team calculates how many children were reached. 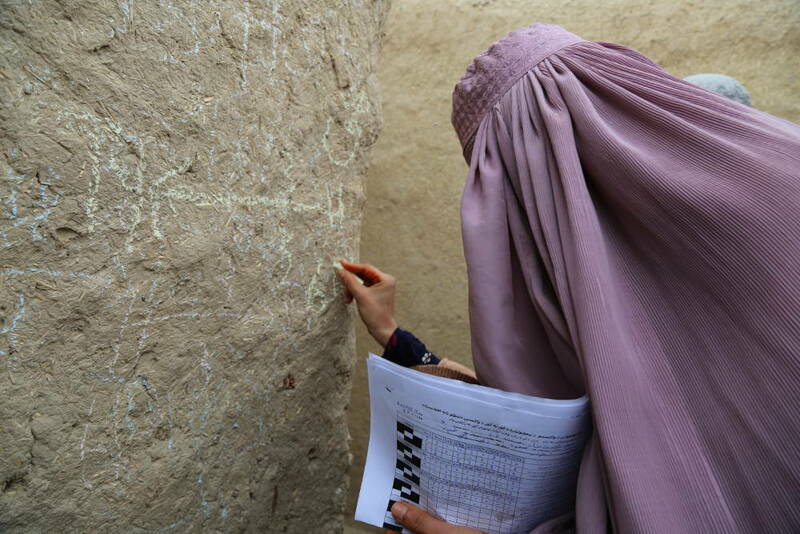 Zainab’s colleague Asma writes in chalk upon the wall of a house where they have just vaccinated several children to help vaccination campaign monitors check whether all children have been reached. At the end of the day, the teams go through their day and share any problems encountered in a meeting. 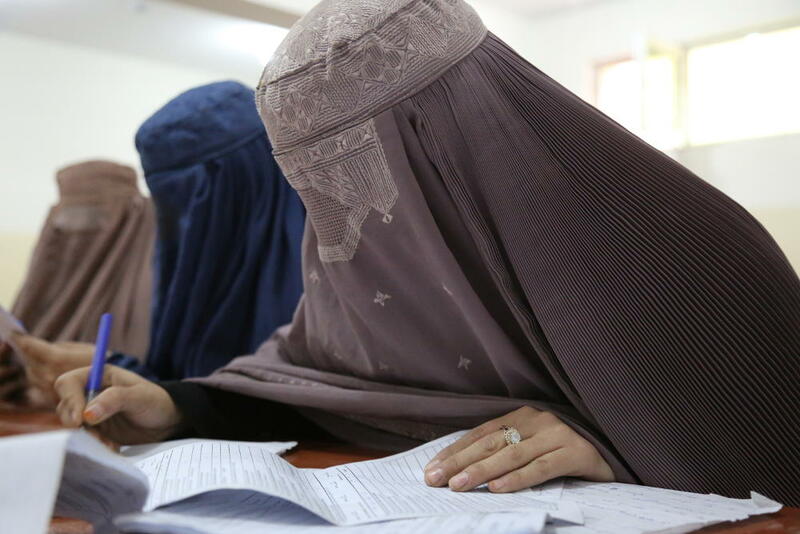 Read more about female polio vaccinators in Afghanistan.